Learn which areas of coding require closer attention, what risky areas to look for, how to decipher and apply guidance with appropriate nuance, and when to act cautiously and query physicians. Coding home health charts is challenging—nonspecific documentation, ever-changing guidance, and ambiguous instruction are just a few of the hurdles home health coders face every day. Coders need every advantage they can get to code claims accurately. 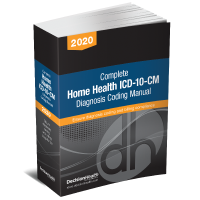 An understanding of common home health disease processes and their effects on the body will give any coder a leg up when choosing the appropriate diagnosis. Join coding experts Megan Batty and J’non Griffin as they detail the pathophysiology behind disease processes and body systems that are frequently seen and taken care of in the home health environment. Learn which areas of coding require closer attention, what risky areas to look for, how to decipher and apply guidance with appropriate nuance, and when to act cautiously and query physicians. This comprehensive webinar will also summarize the potential financial consequences of making mistakes in these situations. Megan Batty, HCS-D, has worked for DecisionHealth since 2008 as a graduate fellow, editor, and junior product manager. She has covered multiple aspects of home healthcare for Home Health Line, OASIS-C & Outcomes Solutions, and Private Duty Insider, but has spent the majority of her time writing about home health diagnosis coding as the executive editor of Diagnosis Coding Pro for Home Health. 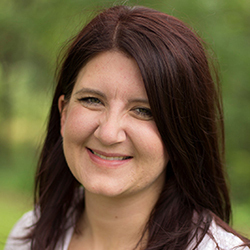 She’s worked on many of DecisionHealth’s industry-leading coding products, including the Complete Home Health Coding Manual, the Coding & OASIS Field Guide, and the Home Health Coding Companion and Documentation Trainer; she was also the developer of the new Wound Coding & OASIS Field Guide. J’non Griffin, RN, MHA, WCC, HCS-D, HCS-H, COS-C, AHIMA-Approved ICD-10-CM Trainer/Ambassador, is the president of Home Health Solutions, LLC. She offers home health consulting on many topics including quality assurance and performance improvement, program development, coding and OASIS review, staff education, and plan of care compilation. 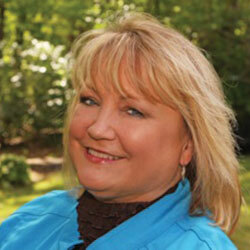 Griffin has experience as a field nurse, director, and executive with home health and hospice agencies.